Create the perfect drive and pathways. 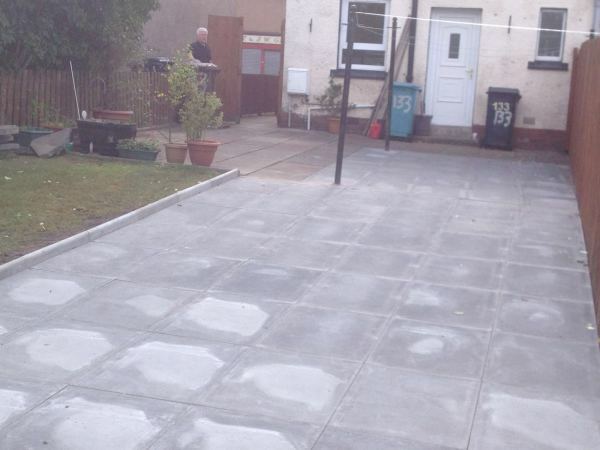 We will undertake any type of paving work including monoblocking, slabbing and even simple chipping to create that perfect finish. 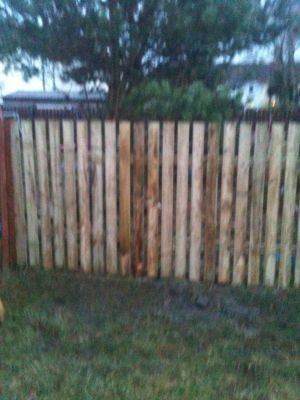 Our experienced craftsmen can install new fences to client specification or repair old ones. Staining and painting of woodwork also undertaken. 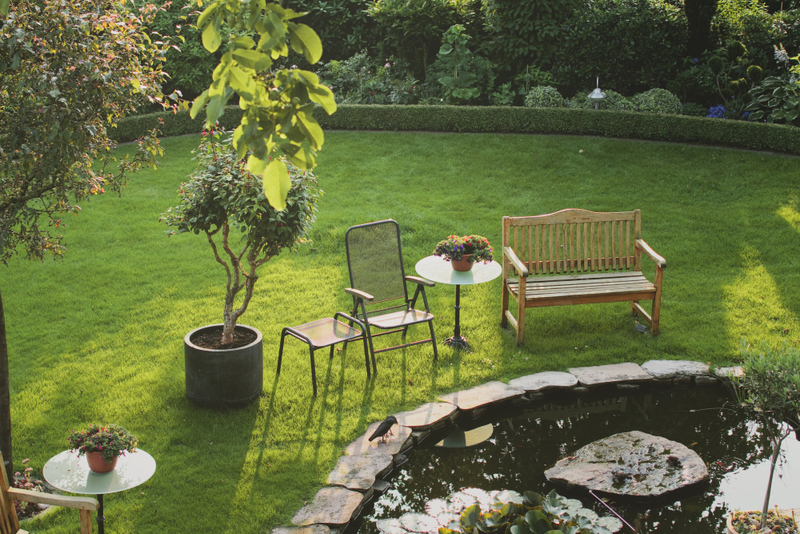 We can also provide a variety of other garden services such as trimming, edging and laying of new turf. These can be provided as a regular maintenance service. 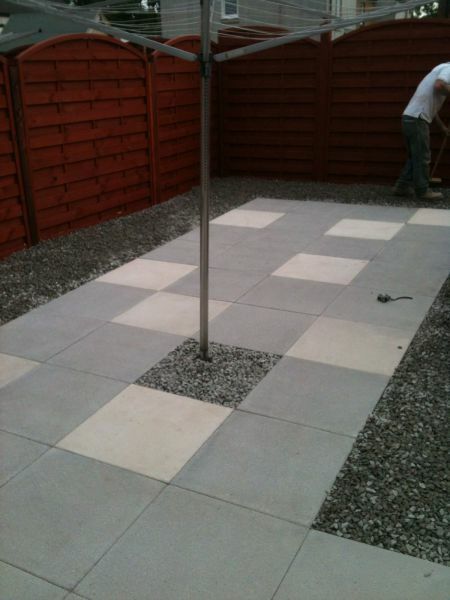 Clyde Valley Paving is a family run business with over 20 years experience in the landscaping and fencing industry. 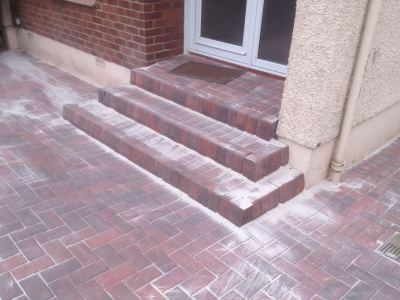 We have had many satisfied clients around the local area and look forward to having many more. We operate in Central Scotland and can provide a regular maintenance service as well as completing single jobs. 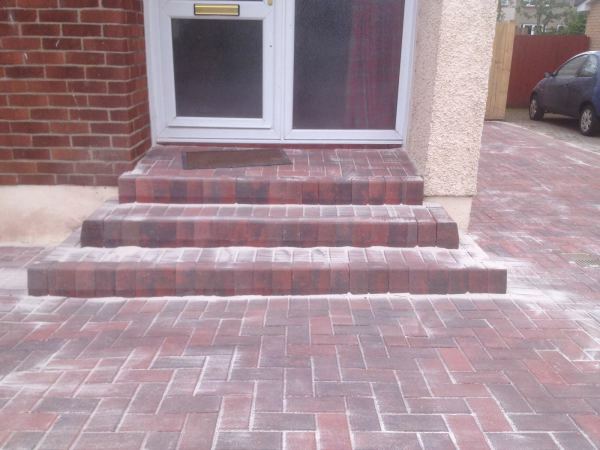 For a Free, NO OBLIGATION quote, please do not hesitate to to contact us on 01698 633518 or 07543610198. 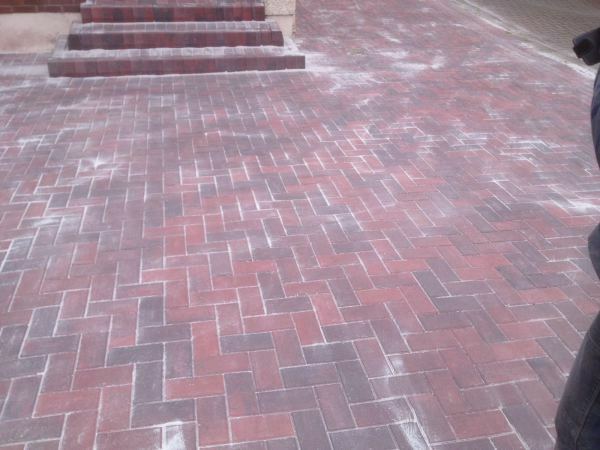 Monoblock Driveway. The monoblock comes in a variety of different shades and can be laid in different patterns. Beautifully laid slab patio with accenting pattern. 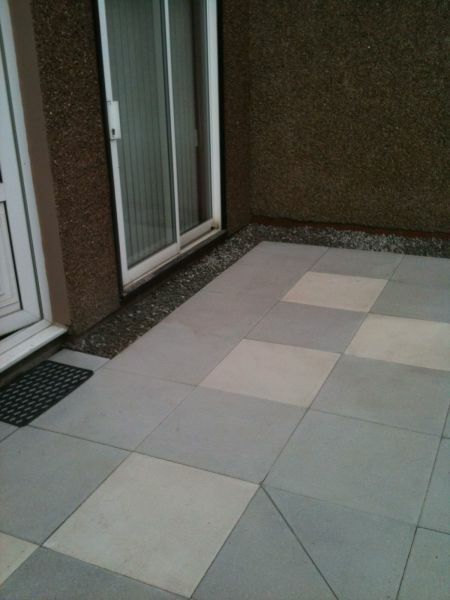 Slab patio showing professional finish around back entrance. 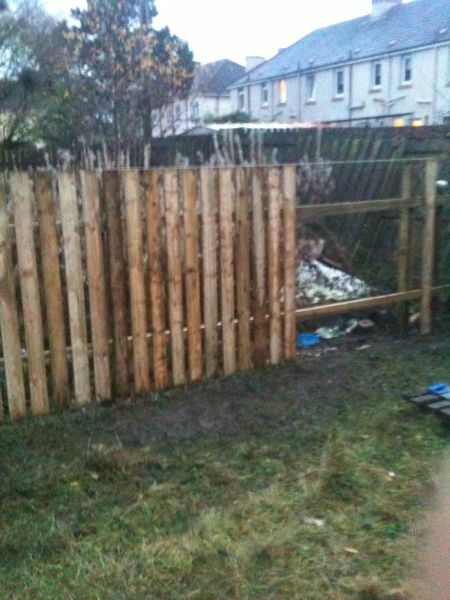 6 foot boundary fence under construction using treated wood. All posts are set 2 feet into the ground and set with concrete. Completed 6 foot boundary fence. 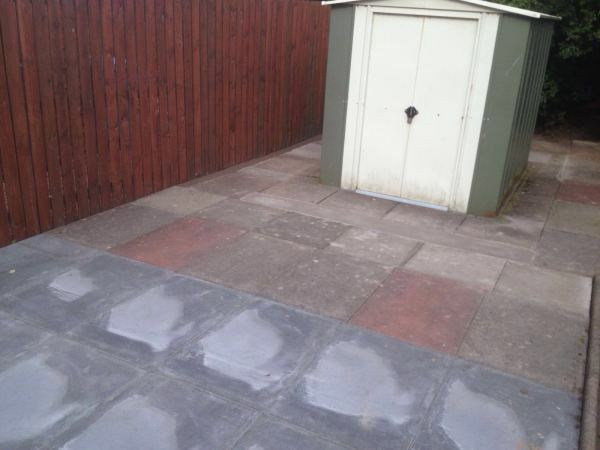 Slab patio showing older recycled slabs fitted around a garden shed.